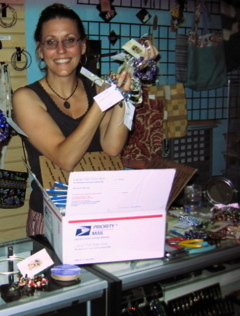 Congratulations to Lizzie Mead — Beading Diva among other things — who was recently interviewed on the Grouchy Puppy blog. She was chosen as an interview subject because of her positive attitude. Enjoyed the piece – Lizzie is an inspiration!